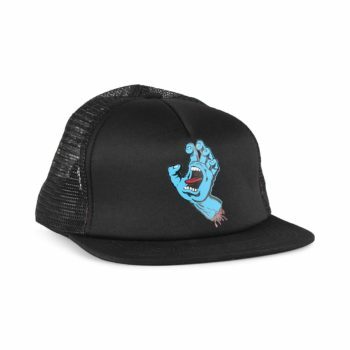 The Santa Cruz Ring Dot cap is a classic snapback hat, featuring a Santa Cruz branded circle patch on the front panel. Taping on the inner crown seams. 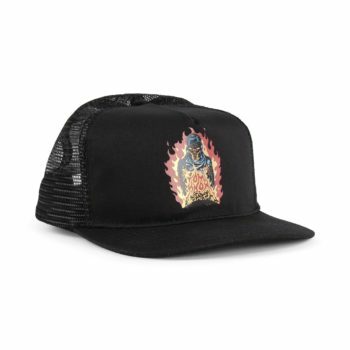 The Santa Cruz Knox Firepit cap is a classic mesh back hat, featuring a Santa Cruz Knox Firepit screen print on the front panel. 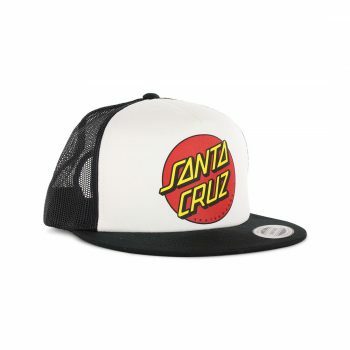 Santa Cruz branded taping on the inner crown seams. 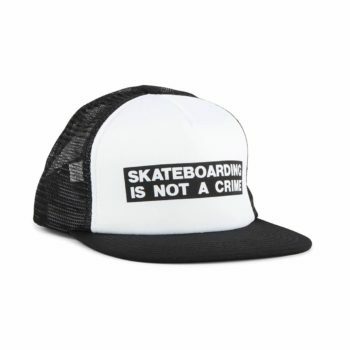 The Santa Cruz Not A Crime cap is a classic mesh back hat, featuring a Santa Cruz 'Not A Crime' screen print on the front panel. The Santa Cruz Classic Hand cap is a classic trucker hat featuring a printed screaming hand logo on the front centre panel. 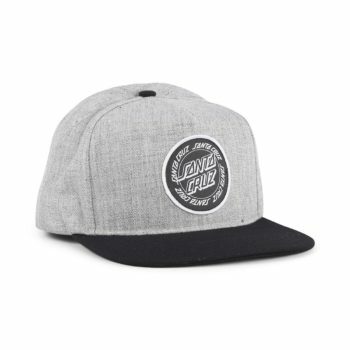 Classic 5-panel construction with a flat brim. 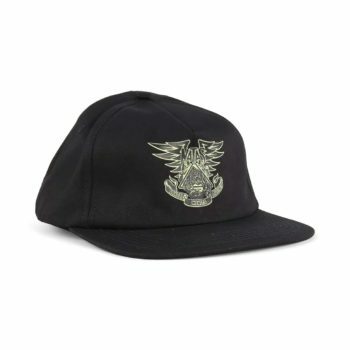 The Santa Cruz Natas Panther cap is a classic strapback hat, featuring a Natas panther graphic screen print on the front panel. Glow in the dark screen print. Adjustable leather strap fastener with metal buckle.